Cutaway model of a ZUS (Zunder Sperre / Anti withdrawal device) 40. This device was used in German WW2 aircraft bombs as an additional antiwithdrawal device, to be used under a normal fuze. In contrast to the other electrical fuzes mentioned before, this is a fully mechanical device. Description: the main body (1) is a zamac (Zinc/Alu/Mag/Cupper, ofter used for carburator cast parts) cast housing. It has three slots 3 mm wide at 120 degrees each. Each slot contains a knife edged plate (3) pushed outward by a spring (7) in one of the three slider pieces (8 ). These knives enshure that once the ZUS40 is placed in the fuze pocket it cannot be pulled out , i.e. the harder you'll try to pull it out ,the more the knives will "dig in" the fuze pocket wall. A hole is drilled between two slots in the lower part of the body. It houses a spring loaded cylinder shaped slider piece (4) with a perpendicular detent arm attached. The end of the slider piece(4) has a slotted insert piece (15), in which the firing pin (6) rests. The Slider piece however cannot move as it is locked in position by a spring loaded arming pin (9) which is held in place by a ball (10). The ball is lockd up between the arming pin and the base plate (2). The base plate (2) is connected to the upper body with two screws. It is also internally threaded to receive the Kz.Zdlg.C/98. Functioning of the fuze: As a fuze is placed over the ZUS40 , the detent arm , connected to the slider piece (4) is pushed outward by the gaine of the upper fuze. At impact ,the ball (10) is thrown outward by inertia, releasing the arming pin. The fuze is now armed. 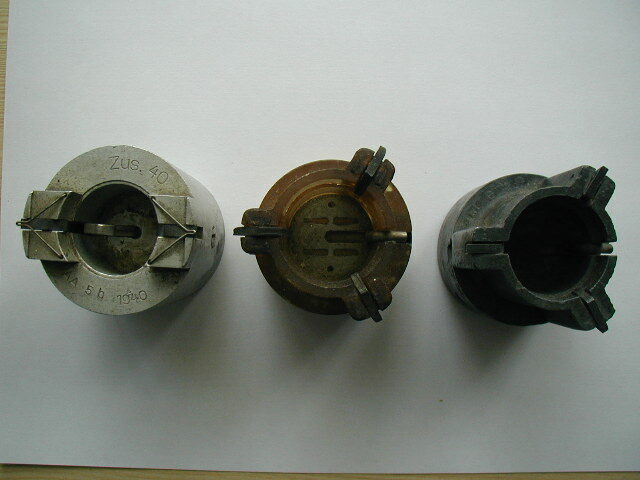 As soon as attempts are made to remove the upper fuze, and the gaine of the upper fuze is nearly removed from the upper body of the ZUS40 ,the detent arm and the connected slider piece are free to move inward.The firing pin (6) is now free to move down into the firing cap (11). The flame travels into the booster through four small holes (12) in the baseplate (2).It ignites the Kz Zdlg. (Kurze Zundladung / short booster) C/98 (14) The Booster is made of an aluminium can, containing 17 grams of Np (Nitropenta)10 (pink). In top of the fuze a sprengkapsel (detonator) 38 (13) is placed. A leather washer with a celluloid disc is placed above the detonator, the aluminium can is rimmed over the leather washer to close the booster. 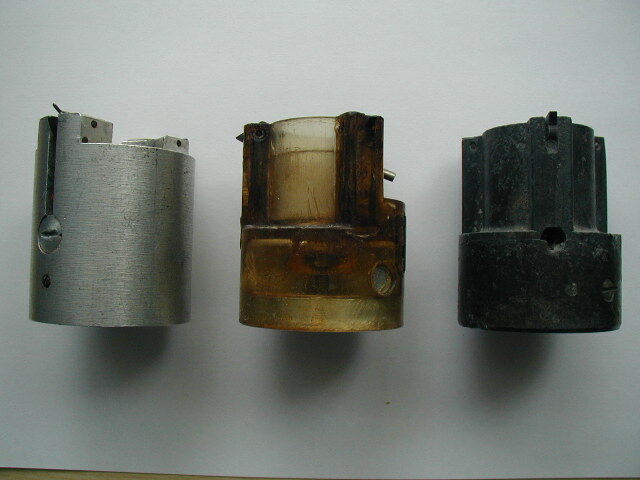 The booster is placed in the gaine (15), which is screwed in the base (2) of the fuze. It cannot be observed from the outside if a bomb has a ZUS40 installed or not. Last edited by Fuzeman; 19th July 2008 at 11:01 AM. B) Oh man alive!,do i like those! FM,You have only posted to tease me as i blagged that type 79A at Leeds! thank you both gents for info on these. In which German bombs a ZUS 40 is possible? Is ZUS 40 possible with any bomb fuze ? Regarding the fuze type combination; It can only be used with bomb fuzes who use the Kz Zdlg. (Kurze Zundladung / short booster) C/98 at the base of the fuze. Last edited by pzgr40; 6th March 2015 at 11:16 AM.